At the opening faculty/staff meeting on Wednesday, August 17, 2016, Eugene McDermott Headmaster David Dini shared two exciting announcements. First, science instructor and robotics team sponsor Doug Rummel was named the new holder of the Founders’ Master Teaching Chair. Second, a new position was established in honor of legendary St. Mark’s instructor Tom Adams. With Tom and wife Marcy in attendance, David announced Leadership & Ethics Program Director and AP US English and history teacher Dr. John Perryman as the inaugural holder of the Thomas S. Adams Master Teaching Chair. Doug Rummel joined the St. Mark’s faculty in 1998 and has mentored hundreds of future scientists, engineers, and researchers, both in the classroom and through the School’s nationally recognized robotics team. 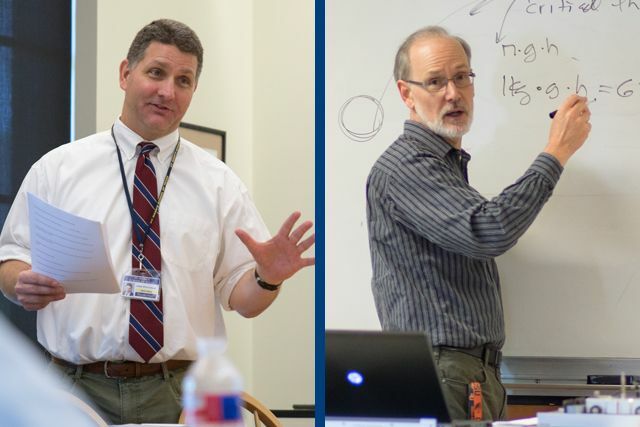 Doug is the third holder of the Founders’ Master Teaching Chair, which was established in 1994 to honor Menter B. Terril and the founders of St. Mark’s School of Texas. 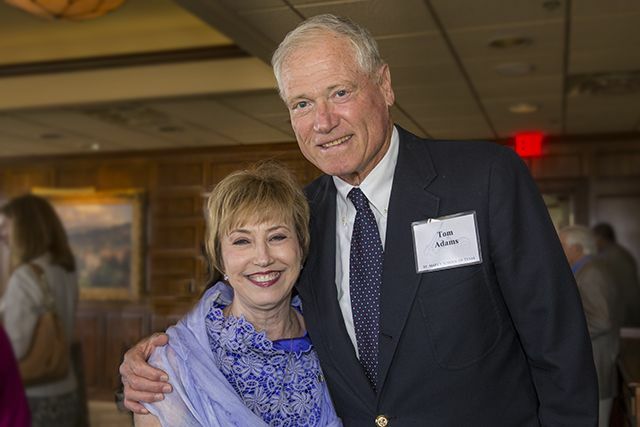 The Thomas S. Adams Master Teaching Chair was given by a collective group of alumni to honor the long-time service Tom Adams has dedicated to teaching and coaching at the School. Tom joined the St. Mark’s faculty in 1961 and soon became famous for his signature history lectures, SPC-winning baseball coaching, and red ties. Throughout his 45-year career, seven St. Mark’s classes dedicated their yearbooks to him and he has returned to campus regularly, giving history lectures to a captive audience every spring at Alumni Weekend. At the opening meeting, both Tom and Marcy led a standing ovation when David announced the appointment of John Perryman. Since arriving on campus in 1998, John has been a model of the Leadership & Ethics Program he leads. The recipient of last year’s yearbook dedication, John’s dedication to character education ensures the School is producing fine men as well as fine scholars. While he spent time as Assistant Head of Upper School, John is returning to the classroom fulltime this year. 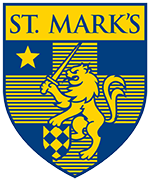 Established by generous gifts from alumni, parents, and friends of the School, endowed chairs are one of the ways St. Mark’s recognizes excellence among the faculty. The current number of Master Teaching Chairs stands at 18, including three endowed Department Chairs and the Headmaster’s endowed position.